The perfect team — meet our friendly staff of veterinarians, registered animal health technologists, veterinary office assistants and receptionists. After graduating from the University of Manitoba with an Honours degree in zoology, it was clear to me that veterinary medicine would be the path I was going to take. Four years later I graduated from the Western College of Veterinary Medicine at the University of Saskatchewan in the spring of 2001. After graduation I worked in a small animal hospital in Alberta for almost two years before returning to work at Tuxedo Animal Hospital in Winnipeg. One of my areas of interest is endoscopy. Over the years I have developed endoscopic procedures at our hospital. The field of endoscopy is rapidly expanding in veterinary medicine, as it provides a minimally invasive way of diagnosing and treating a variety of conditions in dogs and cats that otherwise would have required surgery. I have been privileged to work in such a rewarding profession. I am also privileged to work with such talented and empathetic doctors and staff. I always count myself lucky to have met so many kind-hearted pet owners, and to bear witness to the imprint a pet can leave on our hearts. I was born and grew up in Winnipeg with my parents and younger sister and brother. Becoming a veterinarian was my goal from early in life. After graduating from the University of Winnipeg with a bachelor of science, I attended the Western College of Veterinary Medicine in Saskatoon. I graduated in 1991 and began practice in emergency medicine and surgery where I spent the first several years of my career. Emergency work gave me a wealth of experience in many facets of veterinary medicine. I slowly transitioned into regular practice when our four children were young. Building long term relationships with people and their animals also attracted me to day time practice. Complementary to my days in practice, I teach the animal health technology students during their surgical/ anesthesia nursing rotation at Red River college part time for three months each year. I enjoy teaching and sharing my experience with the students and hope they take this with them into their future careers. I joined Tuxedo Animal Hospital in 2003 and was struck by the culture of care here. I feel fortunate to work with such a harmonious group, each member always willing to put in extra effort to ensure the comfort of our patients. Also important is the ablility of myself, Dr Iacovides and Dr Watson to regularly consult with each other on cases. Animals and their people make each day special for me. I received a Bachelor of Arts degree (Film Studies) from The University of Manitoba, followed by a Doctorate of Veterinary Medicine from the University of Saskatchewan. Since graduating, I have practiced companion animal medicine in Canada and the U.S., in both urban and rural settings. I enjoy my work with dogs and cats, but also appreciate the challenges presented by exotic and avian species. I have a particular interest in aquatic animal medicine, and spent time in my senior year of veterinary school studying aquaculture at British Columbia's Center for Coastal Health and the Vancouver Aquarium. I am pleased to be a part of a progressive hospital with a collegial staff, wonderful patients, and devoted owners. We pride ourselves in upholding a high standard of care, emphasizing sound medicine, compassion for our clients, and a focus on maintaining an animal's good quality of life. As new research and technologies emerge, we become increasingly able to offer advanced diagnostics and therapeutics to our patients and their families, which translates to pets living longer and healthier lives. Accordingly, this is an exciting time to be working in the field of veterinary medicine. Dr. Joselyn Bongiorno, D.V.M., B.Sc. I grew up in Winnipeg and it was my goal to become a veterinarian as long as I can remember. I did not grow up with animals, so my desire to pursue veterinary medicine has always been a mystery. All I know is that growing up I always felt drawn toward and have had a drive to help animals owned by family and friends. I obtained a Bachelor of Science from the University of Manitoba before completing the D.V.M. program at the Western College of Veterinary Medicine in 2013. During my time at the WCVM I became interested in areas such as surgery, exotic animal medicine and dentistry. I feel very fortunate to be a part of such a great profession and extremely grateful to be able to work with the doctors and staff at Tuxedo Animal Hospital. I look forward to putting the skills and knowledge that I've learned towards practicing sound medicine in order to give my patients and their owners the best quality of care to enhance the human-animal bond. Christal's warm and contagious laugh is common-place at Tuxedo Animal Hospitals reception desk. Christal has been with us since 2010. She brings a wealth of experience as it pertains to office management and veterinary reception. Jennifer is a registered animal health technologist. Jenn has been working with us since 1998. She is exceptionally proficient in all areas with a keen interest and skill in small animal dentistry. We value her ability to transform animal's teeth to their pearly best, helping them live more comfortable and healthier lives. Leigh is a registered animal health technologist. Leigh has been working with us since 2000. Leigh brings with her a wealth of experience in animal care and handling. Her warm smile makes everyone's day brighter. Leigh excels in the laboratory. Sample evaluation is definitely one of her many strengths. Carlie is one of our registered Animal Health Technologists. Carlie has been working in the veterinary field for five years and joined our hospital in 2013. Carlie's enthusiasm for emergency medicine and critical care has been a great asset for our practice. Her impressive organizational skills and attention to detail have been greatly appreciated. Carlie's latest challenge has been attempting to train her new hearing-impaired kitten, Mo. Alexis has been with us since 2012. She has a keen interest in exotic animal medicine and surgery, and has several small critters of her own at home. Alexis is enthusiastic about pet nutrition and assists many of our clients with their weight loss programs for their pets. Always eager to learn more about a wide range of veterinary issues, Alexis has been a terrific addition to the Tuxedo Animal Hospital team. Cathy joined our reception team in 2009. Often you will find Cathy educating many new and experienced pet owners, as she has many words of wisdom to share gained from her experiences as a veterinary receptionist and cat lover! Melissa is a great member of our reception team. Melissa has been with us since 2002. She is often seen cuddling and petting our friendly patients in the waiting area. Many nervous patients seem to be calm with Melissa. 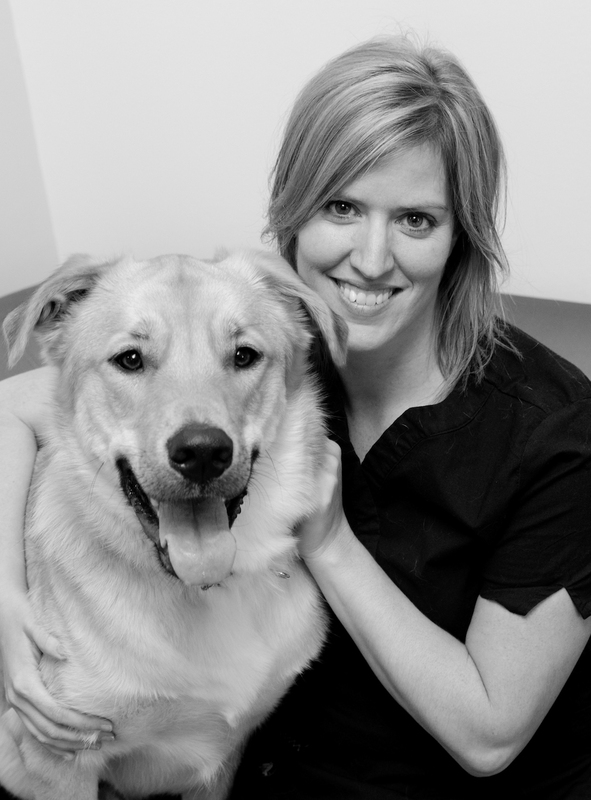 Erin has many years of experience working in the veterinary field. 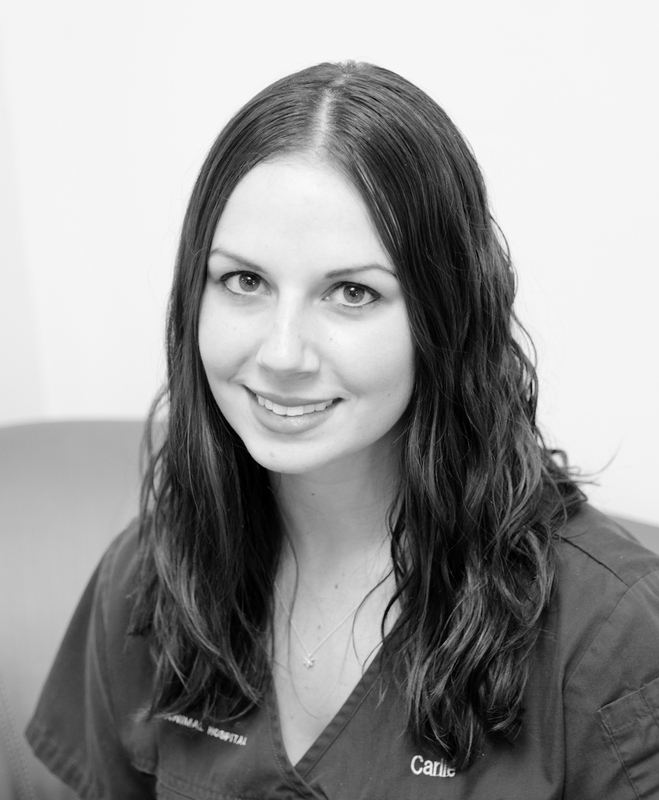 She welcomes all of our patients and clients with a warm and friendly smile. Erin’s exuberant attitude and cool sense of style make her a pleasure to have up front. Mitch joined the Tuxedo Animal Hospital family as a part time student in March 2013. He has had a lifetime affinity for all animals and was known to hide store bought eggs around his bedroom as a child in the hopes that they would hatch so he could have baby chicks of his own. These days, Mitch takes great care of his two dogs Rosco & Beans.